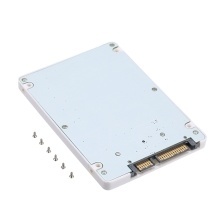 This adapter card is designed to transfer Micro SATA devices to SATA3.0 interface. Convert Micro SATA devices to normal SATA interface. Micro SATA to SATA 22pin. It does not support MINIPCI-E inetrface. It is compatible with laptop and desktop computer. No need for drive. Plug and play.